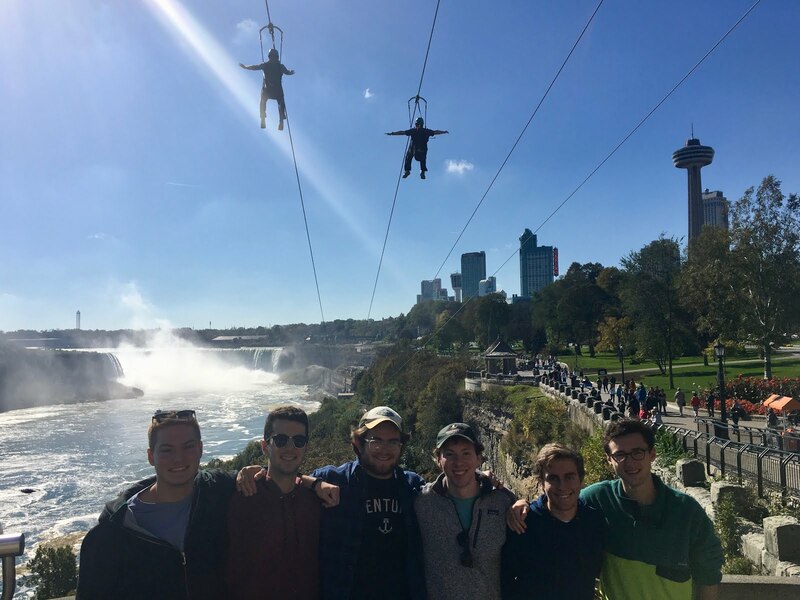 The Gentlemen's Monthly: On assignment: Fall Break. The debriefing of what Stedsmen did for their Fall Break continues. With their return, we are beginning to learn about their travels... where they went, what they did and didn't do, and more, much more. For group of Steds sophomores, Fall Break meant going to America’s 51st state… Canada! As they made their way to Toronto, our Stedsmen took the sights and smells, including taking in the local cuisine. While the locals looked like Americans, they spoke a particular English and were overly nice, almost annoyingly so. Still, it was a most enjoyable adventure. On the trek north, Will Kelly, said, "I was disappointed by the severe lack of "eh." I suppose we will have to venture deeper into the Great White North to pursue the true Canadian accent next Fall,"
and Dan Rahill added, "Canada is a nice town." 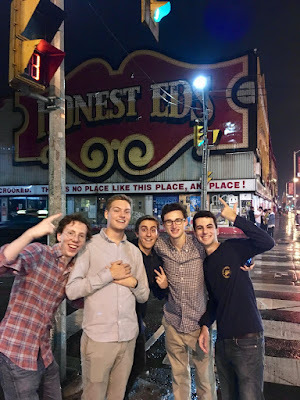 On the food of this foreign land, Andrew Bennis noted, "The poutine probably took a few years off of my life, but is life really worth living without poutine?" Ben Cook went on the record stating, "While I enjoyed my brief time in the "Great White North," I must admit I missed the crisp, sweet, familiar aroma of freedom, liberty, and pride which permeates the atmosphere here in U.S. of A." Finally, Chris Foley concluded, "O Canada! Our home and native land! True patriot love in all thy sons command. With glowing hearts we see thee rise, The True North strong and free! From far and wide, O Canada, we stand on guard for thee. God keep our land glorious and free! O Canada, we stand on guard for thee. O Canada, we stand on guard for thee."